In our last article, we have explained how to install kernel headers in CentOS 7. Kernel Headers contain the C header files for the Linux kernel, which offers the various function and structure definitions required when compiling any code that interfaces with the kernel, such as kernel modules or device drivers and some user programs. It is very important to note that the kernel headers package you install should match with the currently installed kernel version on your system. If your kernel version ships with the default distribution installation or you have upgraded your Kernel using dpkg or apt package manager from the Ubuntu or Debian base repositories, then you must install matching kernel headers using package manager only. And if you’ve compiled kernel from sources, you must also install kernel headers from sources. 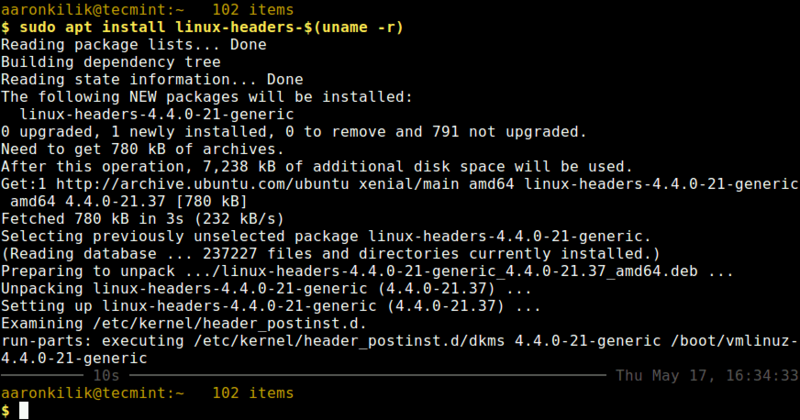 In this article, we will explain how to install Kernel Headers in Ubuntu and Debian Linux distributions using default package manager. First check your installed kernel version as well as kernel header package that matches your kernel version using following commands. 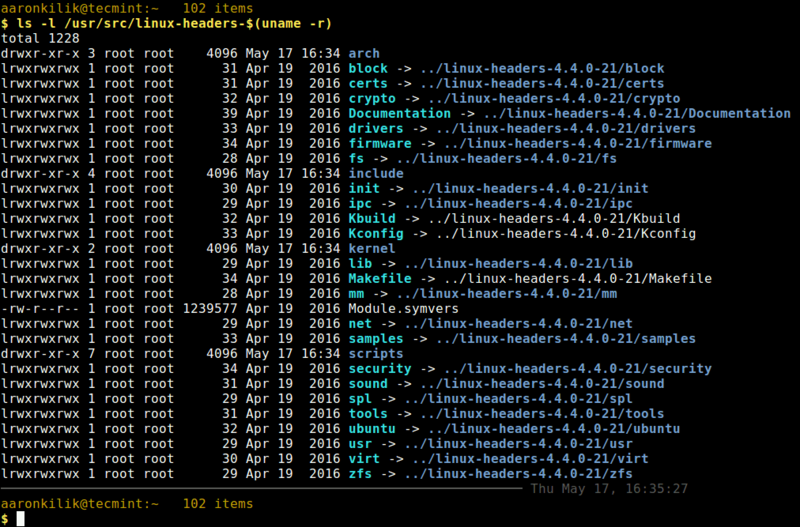 On Debian, Ubuntu and their derivatives, all kernel header files can be found under /usr/src directory. You can check if the matching kernel headers for your kernel version are already installed on your system using the following command. From the above output, it’s clear that the matching kernel header directory doesn’t exist, meaning the package is not yet installed. Before you can install the appropriate kernel headers, update your packages index, in order to grab information about the latest package releases, using the following command. Then run the following command that follows to install the Linux Kernel headers package for your kernel version. That’s all! In this article, we have explained how to install kernel headers in Ubuntu and Debian Linux and other distributions in the Debian family tree. Always keep in mind that to compile a kernel module, you will need the Linux kernel headers. If you have any quires, or thoughts to share, use the comment form below to reach us.